Elizabeth Dipp Metzger was invited to be a guest speaker sharing her success story and provide agents with motivation in the year ahead at five New York Life General Offices. As the outgoing New York Life Insurance Company Council President, Elizabeth Dipp Metzger, was invited by the Chicago, IL., Tucson, AZ., Riverside, CA., Boston, MA., and Dallas, TX general offices for their annual kick off to be a guest speaker sharing her success story and provide agents with motivation in the year ahead. A kick off is a way each general office reviews its year, gives awards to the outstanding agents as well as partners and provides motivating to each agent to develop a business plan for their upcoming year. She will be sharing her personal story on how got her success in the financial industry. 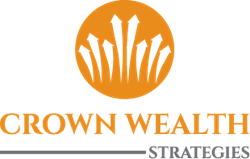 Dipp Metzger is the founder and president of Crown Wealth Strategies, a comprehensive wealth strategies firm in El Paso, TX serving clients nationwide. As a Financial Professional, Lizzie provides clients with an integrated retirement and insurance strategy focused on maximizing value over the course of their lifetime. Lizzie’s focus is physicians, professionals, and business owners in the affluent market. Lizzie provides holistic strategies for retirement, college funding, business planning, and wealth accumulation. Lizzie Dipp Metzger enjoys helping people meet their financial goals. With experience as an adviser and over 17 years of previous experience as a business owner, Lizzie understands the financial challenges most individuals and business owners face today and works diligently to research and provide the right solutions for them.